It is my father-in-law’s birthday today, but I can’t yet show you the (fantastic) card I made for him because he follows my blog! I will update the post later this afternoon with more photos. 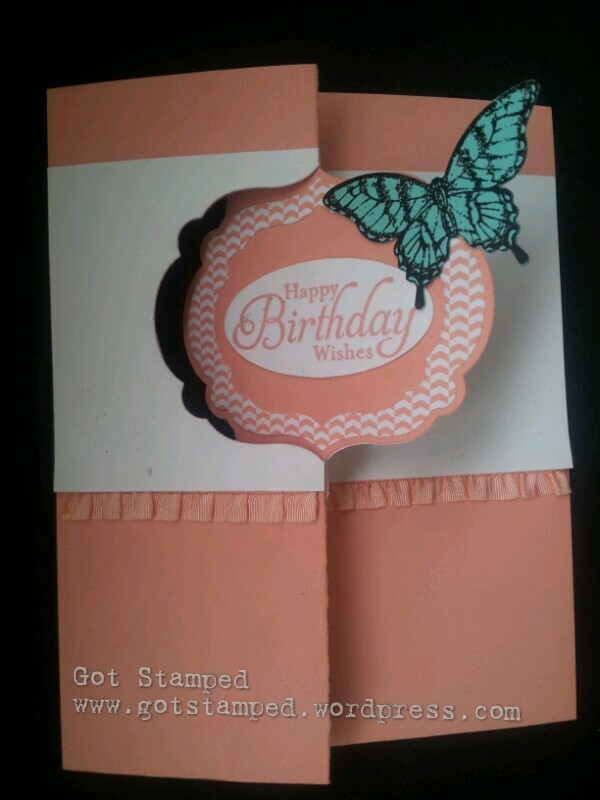 I can, however, show you the card that inspired his birthday card. 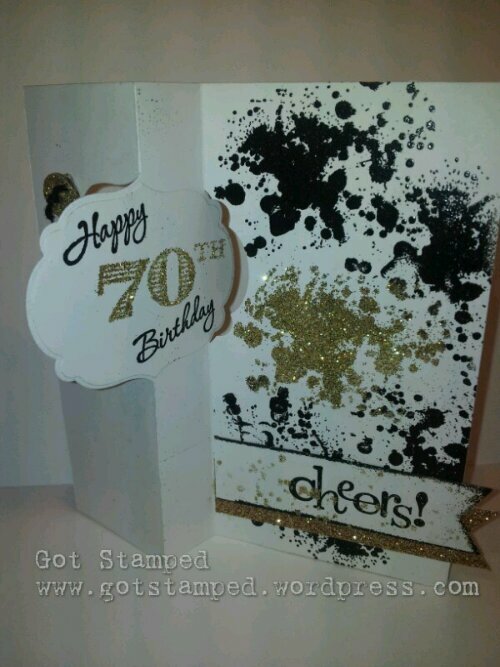 This version is clean and simple using the new Label Card Thinlits Die. 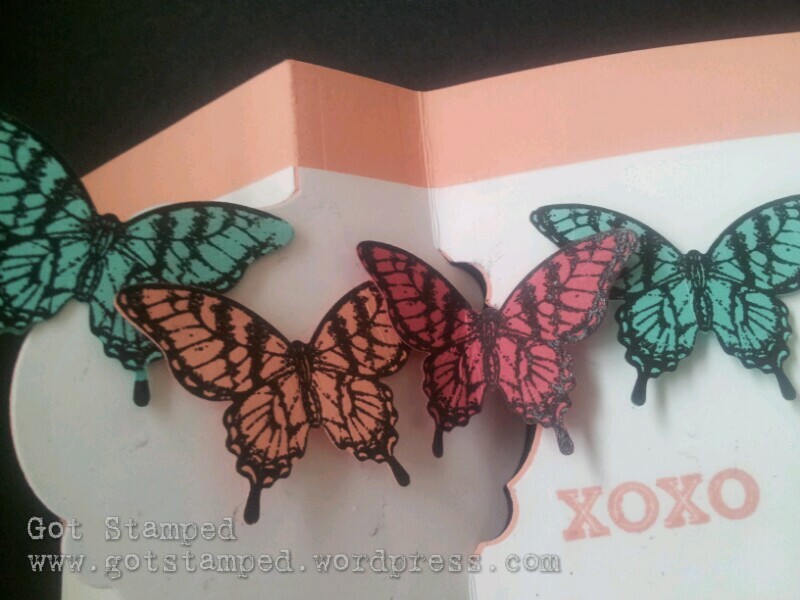 The stamps are from Happy Hour set. To spice it up just a tad I used Crystal Effects on the drink stamp to give it a bit of dimension…but it’s hard to see. Here we are in Merritt and the SURPRISE PARTY went off without a hitch! YAY!! 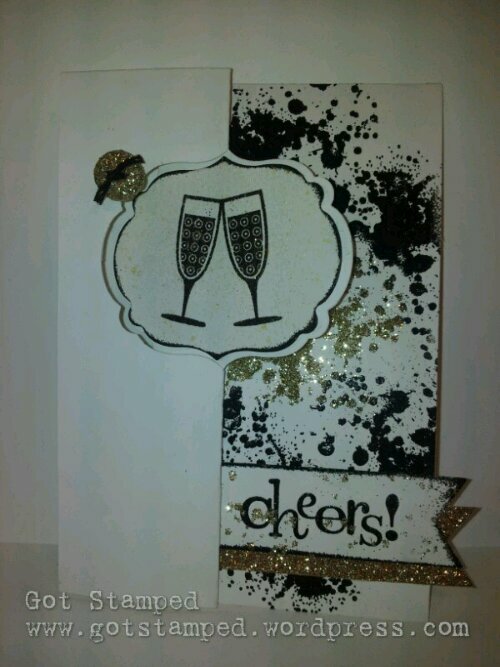 Happy Hour set with the Thinly Card Die, but this one has lots of embossing in black and gold glitter. Even a special gold glitter button! Don’t you think the pop-up was a nice surprise? I definitely will want to be there when the lucky recipient opens up this card. Did you also catch my little error? Crispy Cantaloupe…it’s like the cantaloupe was on the BBQ too long or what? Ha ha. It’s actually just Crisp Cantaloupe, but as a new in-colour they are used to getting called by the wrong name. ANYWAYS…. on with the photos. I just love thee new in-colours together…they make me happy. Speaking of happy….Have a happy LOOONG WEEKEND! 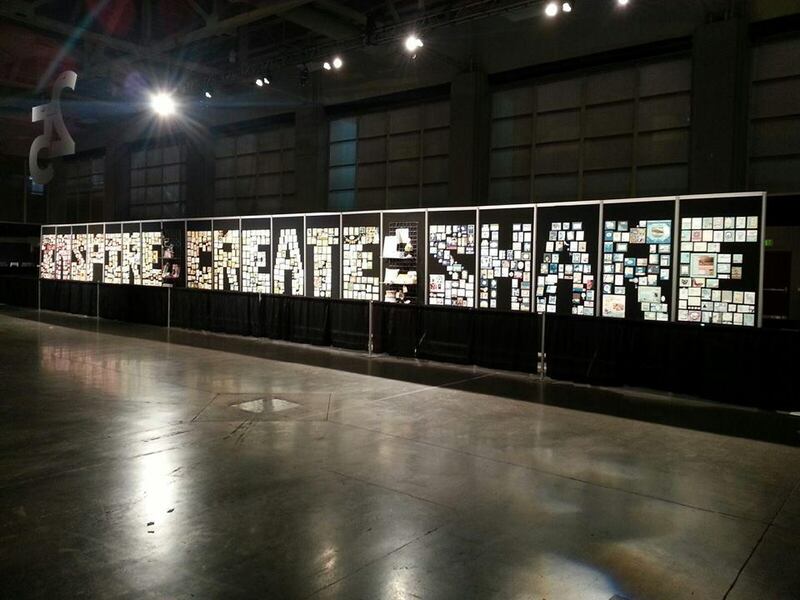 Convention Recap Day 3 – SO MUCH NEW! This day had SO MUCH NEW that I will be having to add more info in the weeks to come. The day began with stamping presentations on main stage. And, of course some prize patrols. 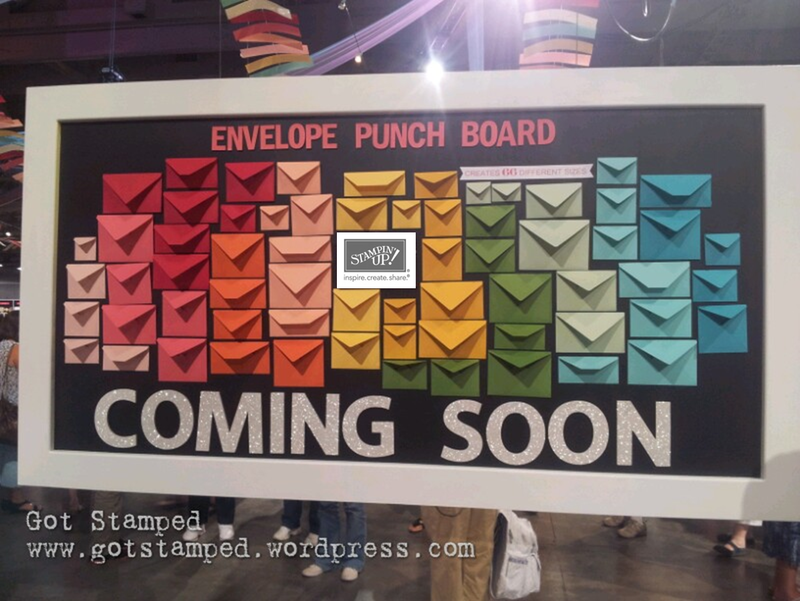 Everyone gets a bracelet (like the ones you get at a theme park) and this year they were all different Stampin’ Up colours. When your colour was chosen everyone with that bracelet wins the prize patrol. I was Rich Razzleberry and I won a BRAND NEW product!! 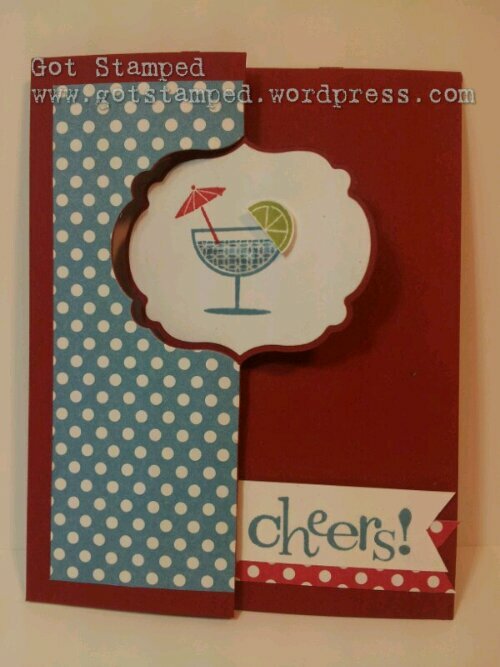 Can’t wait to play with the new Thinlits card dies to create these super fun interactive flip-flop cards in a flash when…a few more days until I get home! 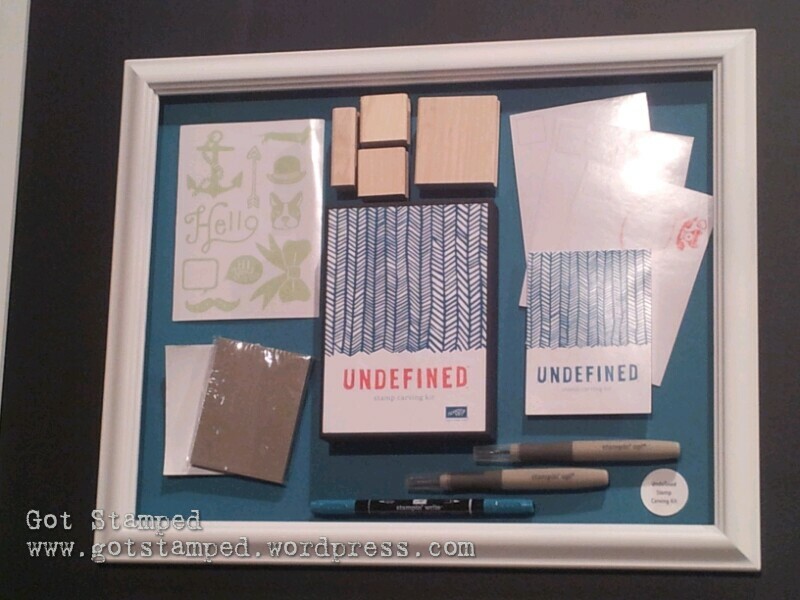 PLUS Stampin’ Up is opening up a whole new can of creativity worms with ANOTHER brand new product called…UNDEFINED! 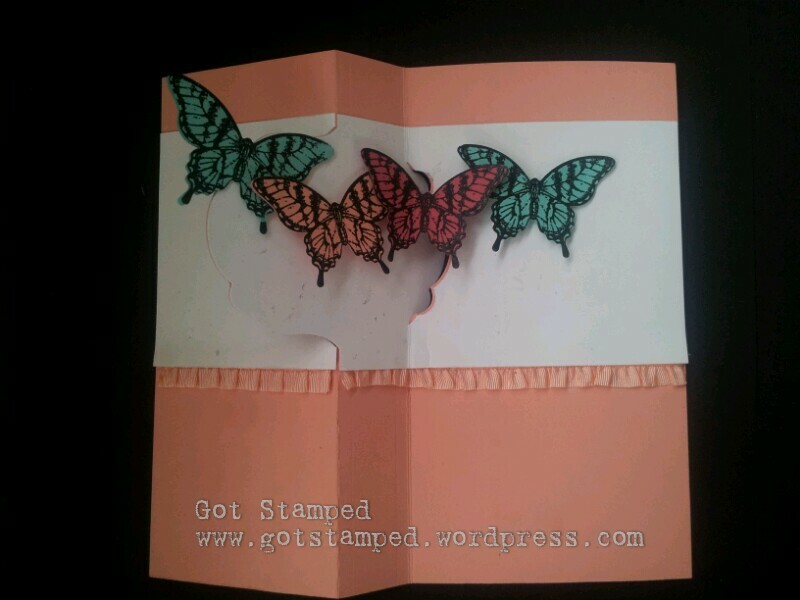 Undefined is a stamp carving kit where you can create your own stamps! 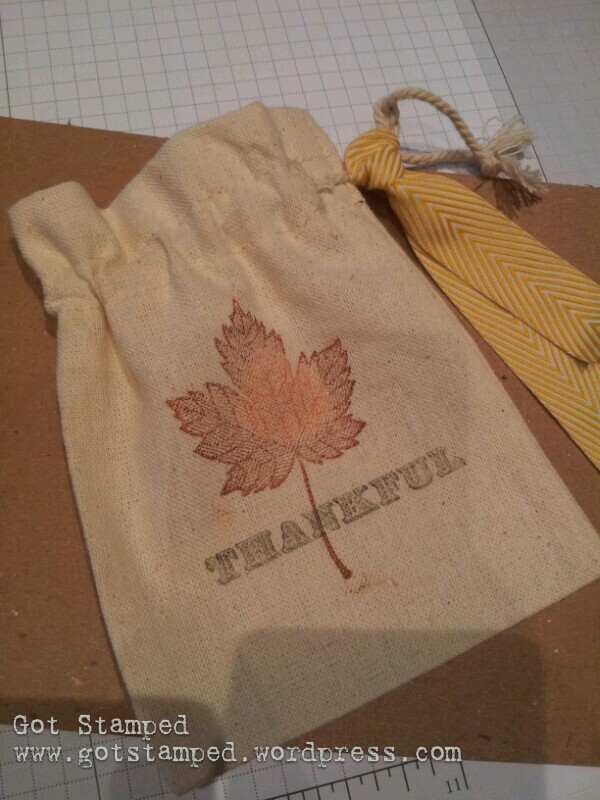 Logos, private jokes, or a stamp that reflects you is now just a carve away. 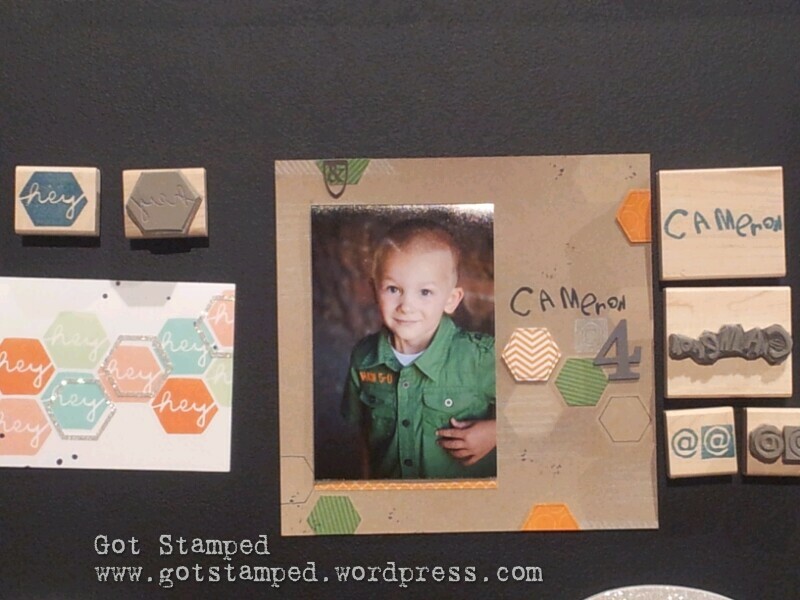 I particularly like the idea of carving my kids’ “signature” for their own stamp. Truly the possibilities are ENDLESS! Lastly, was the awards evening and the coolest moment was when Heather Cooper, fellow Kaleidoscope Stamper, was called to the stage as the only Canadian demonstrator to earn the Rising Star Award. 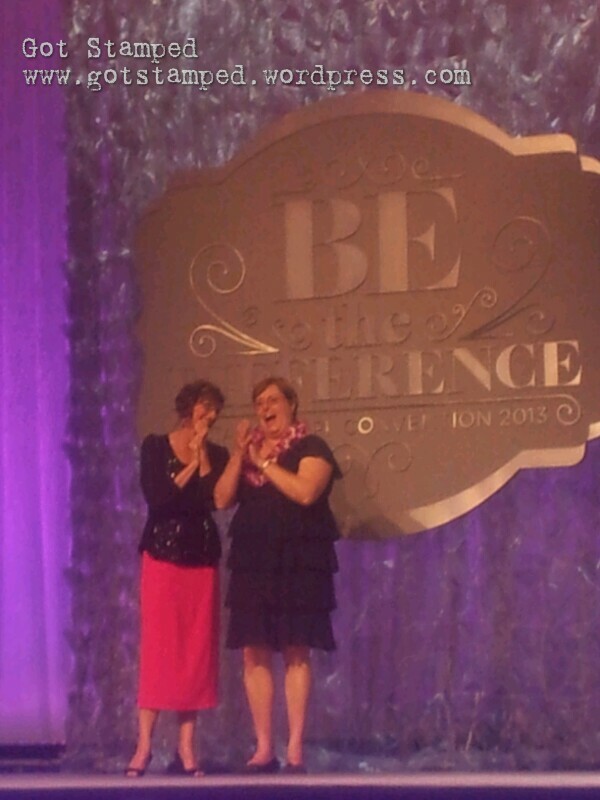 Congratulations Heather! Following awards we danced the night away to the sounds of the 80s…no, seriously. It was another great day!